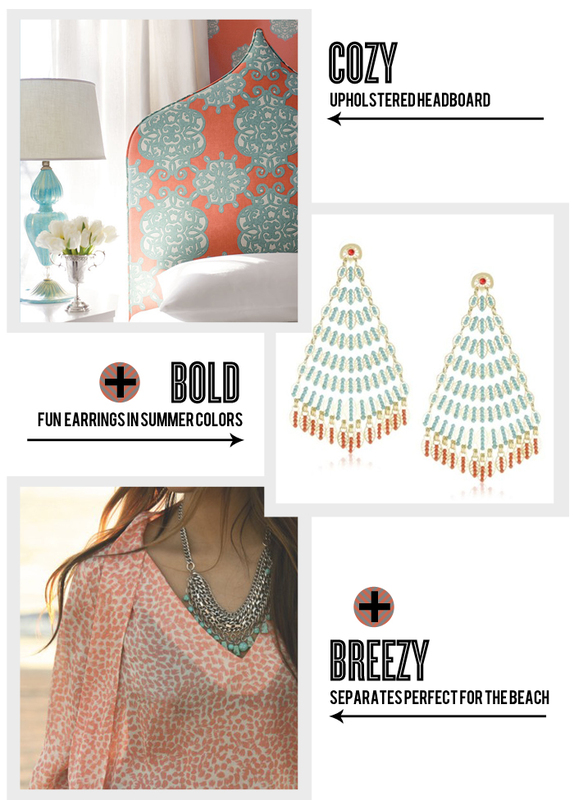 When conjuring up colors that remind me of warm weather, I always seem to come back to coral and turquoise. They just go together like peanut butter and jelly, Bert and Ernie, stripes and sequins. I suppose this summery color scheme was inspired by the recent weather here in Austin....83 degrees and sunny. I'm beginning to gather that March through May are what I'd consider 'summer months' in Texas.....since I've dubbed June through August (and part of September) the "fiery inferno of hell" months. Ughhhh dreading it. Perhaps John and I can just bounce for those months and head to Hawaii??? Argentina?? St. John??? In our dreamssss. I love this color combination. It is so darling. Isn't it the best?? I think I'm going to need a HUGE house to accommodate all the color schemes I love and hope to decorate with...but I think my husband would prefer I bump up my hard drive space and keep it on my comp, lol!